Anchors aweigh, and it’s ship ahoy! This boat takes only a short time to put together before it is ready to sail into uncharted waters in any weather. It consists of compressed cork granules and is thus virtually unsinkable. Ideal for a weekend trip to the water or a family holiday on the beach. 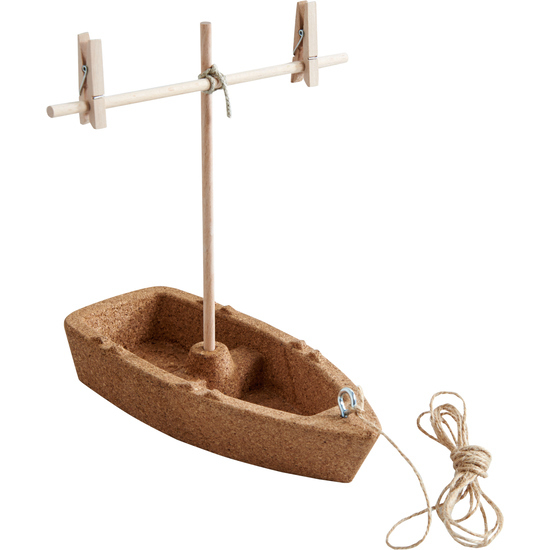 Young boatbuilders can upgrade this cork vessel with elements they find lying around in nature. There are some great suggestions for this in the enclosed instructions.